Author: Woolum, Al. 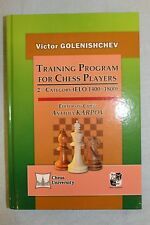 The Chess Tactics Workbook. Notes: Item in good condition. Condition: Good. Paperback and 122 pages with 6 chapters and appendix. B&W chess diagrams throughout. Published in 1981 by Batsford. This is unnumbered in a print run of unknown copies. Typewritten with both sides of the page typed. Worth every penny. English Descriptive notation.This book has wear and is for collecting. Other people are using our goods to make sales. Edgar Colle won with 9; second was Esteban Canal, Rudolf Spielmann and David Przepiorka with 8 1/2. This is #77 in a print run of 150 copies. Typewritten with only one side of the page typed. Worth every penny. The Kids Book of Chess - Book and Chess Set - Still in original plastic. Brand new, but the package is squished a bit. It does not affect the book or game pieces, just tge packaging. Please see pictures. Great way for kids to learn chess! 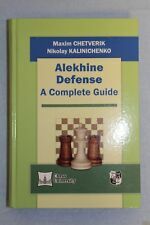 Chess books – Lot of 4 – Softcover, 5” x 8½”. Open Gambits by George Botterill. 141 pages. 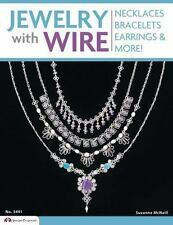 ISBN: 0020282702. Pages yellowed (toned) due to age. Benko Gambit Accepted by Eduard Gufeld. 111 pages. U.S. CHESS FEDERATION'S OFFICIAL RULES OF CHESS. MODERN CHESS STRATEGY by Edward Lasker. 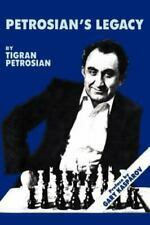 THE COMPLETE BOOK OF CHESS STRATEGY Grandmaster Techniques from A To Z By Jeremy Silman. Here we have a huge lot of 20 Chess books in German. The books have only minor wear and have no markings. Paperback and published in 1970. Steinitz won this match over Zukertort, 12.5 to 7.5. Chess diagrams throughout.